Envisioning The “Woke” Academy™ is the theme for the 2018 ASHE Conference in Tampa, FL. Although a fairly recent colloquialism, the term “woke” has become synonymous with the Black Lives Matter Movement and other activist efforts, as well as social media campaigns and hashtags (#staywoke; #getwoke; #bewoke). Being “woke” is meant to encourage a heightened level of consciousness both locally and transnationally regarding societal ills and the need to unabashedly name and dismantle inequitable power structures and their disproportionately negative effects on minoritized peoples. Being “woke” engages us in the envisioning of futures characterized by freedom and emancipatory struggle. Looking to save some money in Tampa for the ASHE 2018 conference? ASHE has secured a 10 percent discount with SuperShuttle/Execucar Ride Services. For more information and to utilize the discount, visit the website. The Discount Code is: SH3LT. Don’t miss our Conversations over Coffee: ASHE Graduate Student Coffee Breaks sessions each day of the conference! Hotel Roommate Matching provides ASHE Graduate Students (and post-docs, and so on) to connect with each other to share hotel expenses. 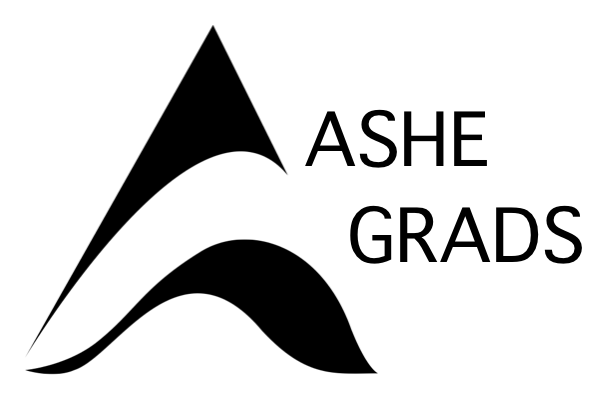 This service is offered by courtesy, and neither ASHE nor ASHEGrads are responsible for the sharing of any information, any unforeseen circumstances, and hold no liability for roommate matching. Do you have any recommendations for what conference goers should remember to bring – or what tasks to complete – prior to the conference? Add your suggestions below. Bring business cards, more than you probably expect. If you don’t have cards, get some quick custom ones made with your name, contact information, and your research agenda. Develop your elevator talk – describe your research agenda and interests in less than a minute! Have a draft of your presentation available, or a way of quickly delivering it to those who ask for it. What other ideas do you have for conference goers?